*See dealer or mycertifiedservicerebates.com for details and rebate form, which must be postmarked by 05/31/18. Allow 6 to 8 weeks for delivery of debit card. Offer valid 3/1/18-4/30/18. Credit approval required. Terms and Conditions apply. New customers must apply via servicecardapply.com. Offer Expires 04-30-2019. *Tire balancing, tax, and more than 8 quarts of oil extra. Excludes diesel engines and medium-duty trucks. See dealer for eligible vehicles and details. Offer ends 12/31/18. ACDelco dexos1 is a trademark of General Motors. Offer Expires 04-30-2019. Front end regular price/special price &69.95/$49.95. Four wheel regular price/special price $89.95/$69.95. Set toe in, camber and caster when applicable. Modifications additional if required. Cannot be combined with other offers. Present offer at time of write up. *Pricing could vary for some makes and models. Offer Expires 04-30-2019. *Tire balancing, tax, and more than 6 quarts of oil extra. Excludes diesel engines. See dealer for eligible vehicles and details. Offer ends 12/31/18. ACDelco dexos1 is a trademark of General Motors. Offer Expires 04-30-2019. Find a better price within 30 days of the purchase, and we'll refund the difference. * Eligible Tire Brands: BFGoodrich, Bridgestone, Continental, Dunlop, Firestone, General, Goodyear, Hankook, Kelly, Michelin, Pirelly, and Uniroyal. *Ad, written estimate, or Internet quote for identical tire(s) from a competing tire retailer/installer located within 100 miles of the dealer required during guarantee period for price match. Offer ends 12/31/18. Offer Expires 04-30-2019. *Turning or replacing rotors, all other services, and tax extra. Excludes medium-duty trucks, high-performance pads and other select vehicles. See dealer for eligible vehicles and details. Offer Expires 04-30-2019. Regular price $114.95. Replace brake system with proper fluid according to vehicle specifications. See dealer for details. Should perform every 3 years or 50,000 miles. Shop supplies/waste disposal not included. Wiper blades, per pair. Includes parts and labor. Not valid with other offers. Present offer at time of service. *Pricing may vary by model. Beam style not included. Offer Expires 04-30-2019. Regular price $114.95. Replace power steering with approved fluid according to vehicle specifications. Perform every 50,000 miles. Valid on most models. Shop supplies/waste disposal not included. Regular price $163.95. Drain transmission/transaxle and refill with approved fluid. Shop supplies/waste disposal not included. Perform every 50,000 miles. Valid on most models. Regular price $79.95. Check steering, suspension and shocks. Set toe-in, camber and caster (where applicable). Check tie-rods and ball joints. Check tire pressure and inspect tires for cuts, damage, and uneven wear. Shop supplies/waste disposal not included. Valid on most models. Modifications extra. Get any service performed at our dealership and receive Nitrogen refill free of charge! Regular price $34.95. Balancing recommended at every other rotation. Check tire pressure and adjust as necessary. Rotate tires and wheels as recommended. Inspect tires and wheels for damage or excessive wear. Plus tax, if applicable. Not valid with other offers. Coupon valid at vehicle check-in. Valid on most models. Shop supplies/waste disposal not included. Regular price $114.95. Replace front or rear fluid exchange according to vehicle specifications. Perform every 50,000 miles. Valid on most models. Shop supplies/waste disposal not included. Regular price $89.95. Check steering, suspension and shocks. Set toe-in, camber and caster (where applicable). Check tie-rods and ball joints. Check tire pressure and inspect tires for cuts, damage, and uneven wear. Plus tax, if applicable. Coupon valid at vehicle check-in. Shop supplies/waste disposal not included. Valid on most models. Modifications extra. Regular price $124.99. Installs latest programming from GM to the onboard computer. Shop supplies/waste disposal not included. Regular price $114.95. Replace or fill engine with up to two gallons of coolant. Inspect hoses and connections. Check belts and hoses for wear. Pressure-test radiator cap and system. Coupon price is for Dex-Cool, other coolants may be higher. Not valid with other offers. Plus tax, if applicable. Shop supplies/waste disposal not included. Engine Oil and Filter Change Up to 5qts. Excludes synthetic, synthetic blend, diesel and Corvette. Other exclusions may apply. See dealer for details. Up to 5qts. Excludes synthetic, synthetic blend, diesel and Corvette. Other exclusions may apply. See Dealer for details. Offer Expires 04-30-2019. Replace wiper blades. Exclusions may apply. See dealer for details. Exclusions may apply. See dealer for details. Offer Expires 04-30-2019. 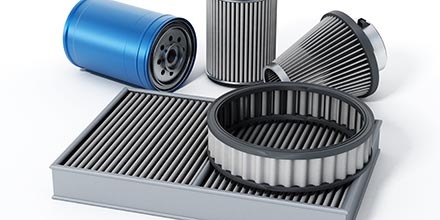 Replace Engine Air Filter Exclusions may apply. See dealer for details. Replace micro filter that removes dust and pollen. Remove most allergens from the air that enters a vehicle's ventilation system. Effectively helps reduce airborne particles including pollen and road dust. Exclusions may apply. See dealer for details. A fuel induction service clears out the carbon deposits and other buildup that forms inside your engine's parts. When performed by a professional mechanic, this engine service can greatly improve your vehicle's fuel efficiency and drivibility. Exclusions may apply. See dealer for details.